For many, shared ownership is a great way of getting your foot on the housing ladder. Offered on either new homes or available through housing associations on the second-hand market, generally the shares offered are between 25% and 75% of the property value. In some cases, there is an option to buy a larger share as your income increases or if you want to move you can sell back your share to the next buyer. 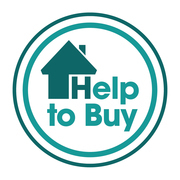 Our friendly Help to Buy mortgage advisors are experts in shared ownership and help to buy. We take great pride in helping our clients purchase their own homes and would welcome a call to discuss which scheme is suitable for you.